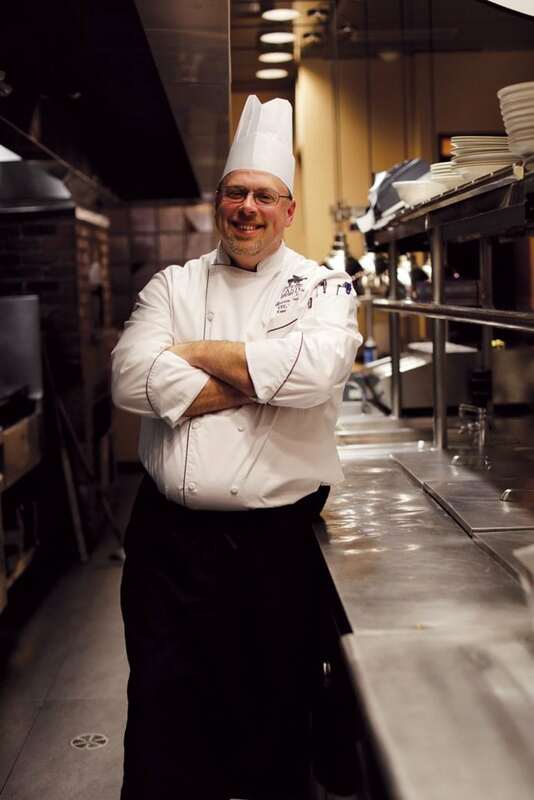 Coeur d’Alene Casino Executive Chef Steven Walk began his career in the restaurant industry as a dishwasher when he was just 13. It wasn’t long before he found his passion in the energy and excitement of the kitchen and by the time he was 16, he became lead line cook at a steakhouse in his hometown of Alliance, Ohio. He attended a vocational school his junior and senior years in high school, taking courses in culinary arts and restaurant management where his instructor encouraged him to pursue a degree. In 1990 Walk graduated from the Culinary Institute of America in Hyde Park, New York, one of his proudest moments. Walk has proven himself as an extremely skilled chef during his 20-year career, gathering diverse experience along the way. During his time at Ashland University, Embassy Suites, Marriott and Holiday Inn, he learned to handle large scale dining operations. He was also executive chef at St. Vincent College, which hosts the Steelers’ training camp. During his time in Pittsburgh, Walk honed his garde manger skills learning fruit, vegetable and ice carving, even working at a local icehouse with a Master Ice Carver. He has since won several awards and medals in various cooking and ice carving competitions. Walk moved west for the once in a lifetime opportunity to establish and develop the culinary arts program at Walla Walla Community College. Most recently he served as Washington State University’s associate director of culinary operations, overseeing six executive chefs, 60 staff members, and 900 student employees responsible for feeding 8,000 students on a daily basis. Since starting at the Coeur d’Alene Casino Walk has inherited and continues to cultivate the traditional tribal hospitality in his restaurants. Outside of work he is a hobby farmer working a small ranch with cows, chickens, horses and a vegetable garden and enjoys time on the lake boating and fishing. When it comes to football he is a die-hard Pittsburgh Steeler fan.